is one of the area's oldest civic organizations. 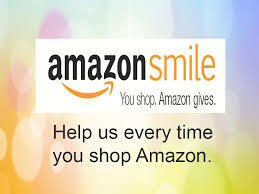 Thank you for visiting our website, we'd love to have you visit in person. Our meetings are held Thursdays at 12:15 pm at Meson Sabika. Want to stay current with all the club happenings? common commitment to community service. Tom Turigliatto's father in law has moved to a nursing home due to health issues. Guests: Kristin Eccles introduced this week's guests. Randy Ems welcomed wife Amy. Rich Tatara introduced Nancy Lindberg Myers. John Gallagher introduced William Moore. 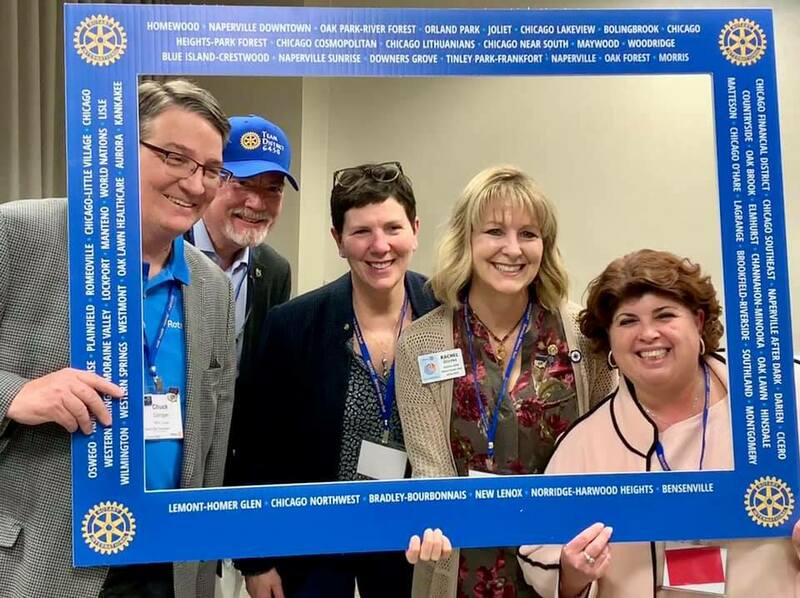 Rachel Ossyra attended Midwest PETS (President-Elect Training Seminar) last weekend, with Kevin McQuillan (Naperville Downtown), Becky Anderson (Naperville Sunrise) and Heather Gottfried (Naperville After Dark) and several hundred other presidents-elect from 7 districts. We want to work together to grow Rotary in our community. One of the highlights was being commissioned by RI President-Elect Mark Maloney. 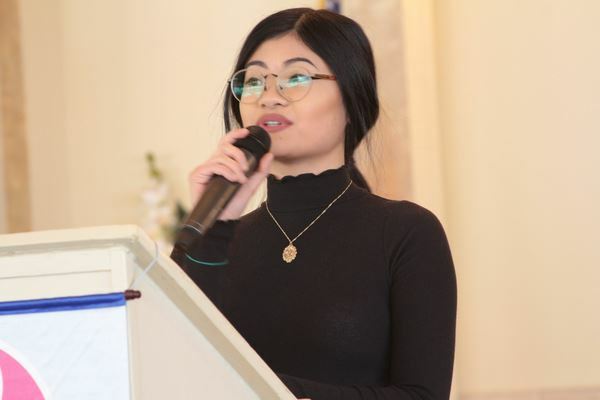 The Community Service Committee is made up of members who are actively committed to provide direct outreach to the community with an emphasis on providing basic humanitarian support to those in need. Community Service encourages every Rotarian to find ways to improve the quality of life for people in their communities and to serve the public interest. 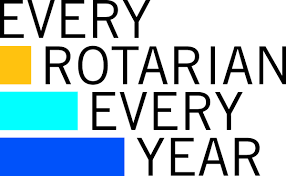 Richard Tatara, Foundation Chair asks that each of us make a donation to the Rotary Foundation as part of the Every Rotarian Every Year campaign. You can donate to the Foundation at MY ROTARY . You will need to register, if you haven't already. 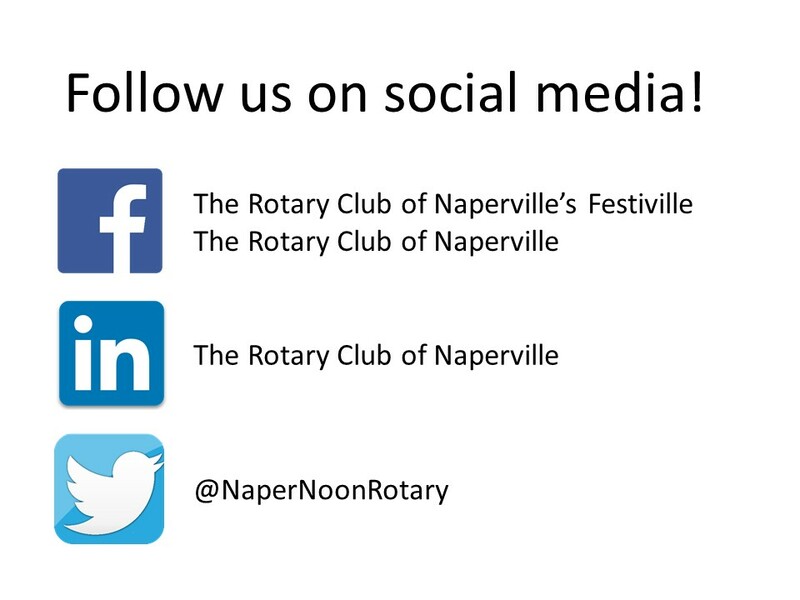 Or you can write a check to Rotary Club of Naperville and designate FOUNDATION in the memo line. Nearly 800 million people live on less that $1.90 a day! Rotary members are passionate about providing sustainable solutions to poverty. Rotarians and its foundation work to strengthen local entrepreneurs and community leaders, particularly women in impoverished communities. It provides training and access to well-paying jobs and financial management institutions. It creates opportunities to help individuals and communities thrive financially and socially. In Guatemala the Rotary Club of Guatemala de la Ermita helped 400 local women complete financial literacy courses, so they could pool their money and fund their own microlending program. In Esmeraldas, Ecuador Rotary members helped grant more than 250 microloans, and train more the 270 community members in sewing, baking, plumbing, microcredit, business management and leadership. And in West Cameroon, Rotary members gave farmers skills to improve soil fertility, control soil erosion, and market their produce resulting in increased crop yields and profits. Your contribution to The Rotary Foundation enabled this to happen. Thank you. The Foundation Committee is starting to plan the Paul Harris Community Awards selection process and the luncheon meeting/gala planned for Thursday May 9, 2019. 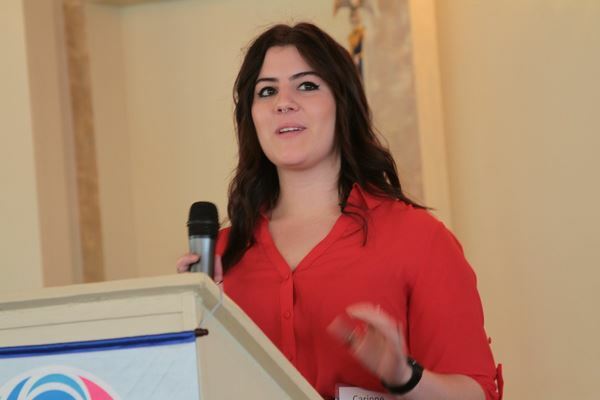 The Rotary Club of Naperville has chosen to honor several non-Rotarians each year with Paul Harris Fellowship Awards. Club members nominate non-Rotarians from our community who they feel are worthy of consideration for a Paul Harris Fellowship. Nominations for the awards are organized under the “5 Avenues of Service” that guide Rotary Clubs worldwide. For the community awards, we extend the category definitions to include persons who contribute to other service clubs, non-profit organizations, educational institutions, and governmental agencies serving our community. 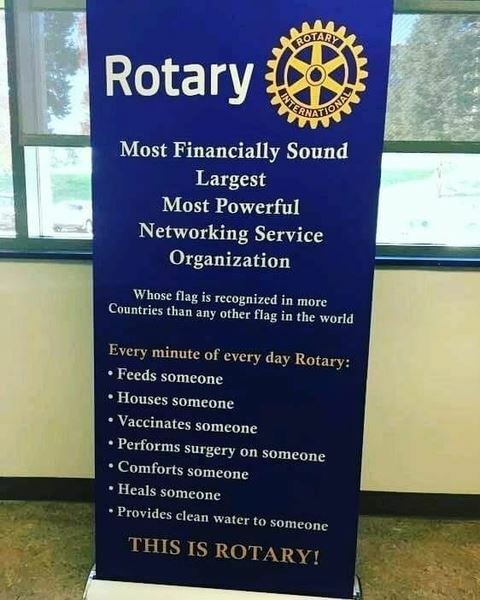 All nominees must not be members of any Rotary Club. Nominations are now being sought. Please use the application to submit those you know who are deserving of this award in the community. "International Service as a Catalyst for Peace". will once again moderate the panel discussion. Wendy Pearlman is Associate Professor of Political Science at Northwestern University, where she also holds the Martin and Patricia Koldyke Outstanding Teaching Professorship and is a Faculty Fellow at the Buffett Institute for Global Studies. She earned a Ph.D. from Harvard University, an MA from Georgetown University, and a BA from Brown University. Her research focuses on the comparative politics of the Middle East, social movements, political violence, refugees and migration, emotions and mobilization, and the Arab-Israeli conflict.Wendy Pearlman has studied or conducted research in Spain, Germany, Morocco, Egypt, Lebanon, Jordan, Turkey, Israel, and the West Bank and Gaza Strip. 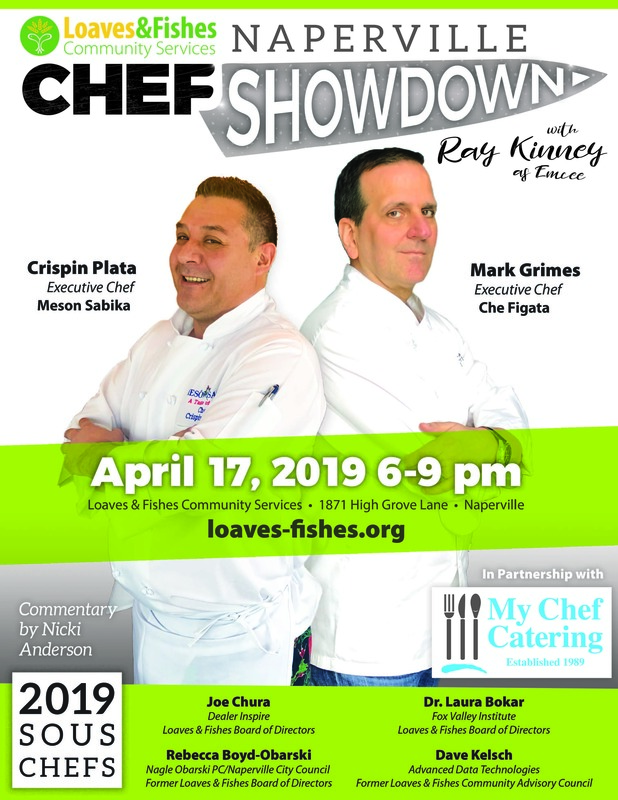 Click HERE For more information and to purchase your tickets ! The International Service Committee meets the second Friday of the month, 7 am. International Service exemplifies our global reach in promoting peace and understanding. We support this service avenue by sponsoring or volunteering on international projects, seeking partners abroad, and more. We invite anyone interested to join us at our meeting! The scholarship applications for 2019 have been posted to the website. Please share the information with interested seniors. Deadline for applying is March 31. The Youth Service Committee invites all interested members to attend a committee meeting and see what their work is all about. The committee meets the first Thursday of every month, following the Rotary meeting at Meson Sabika, 1:30 pm. This Avenue of Service involves outreach to our communities youth through Rotaract, Interact and RYLA. The committee is chaired by Kristin Eccles. If you want to inspire and provide support to tomorrow's leaders, please join us! 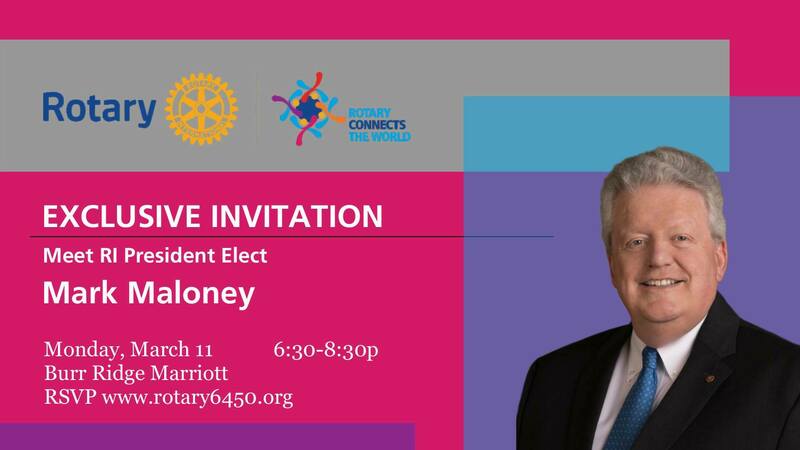 District 6450 Rotarians are invited to an exclusive evening with Rotary International President-Elect Mark Maloney. Join us for this RARE opportunity to hear him speak in an intimate setting and help show what makes the Birthplace District so special! Registration is $20.19 and includes a light meal and soft drinks. A cash bar will be available. 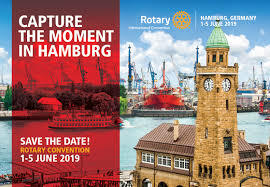 Register now at www.rotary6450.org, this event will fill up quickly! 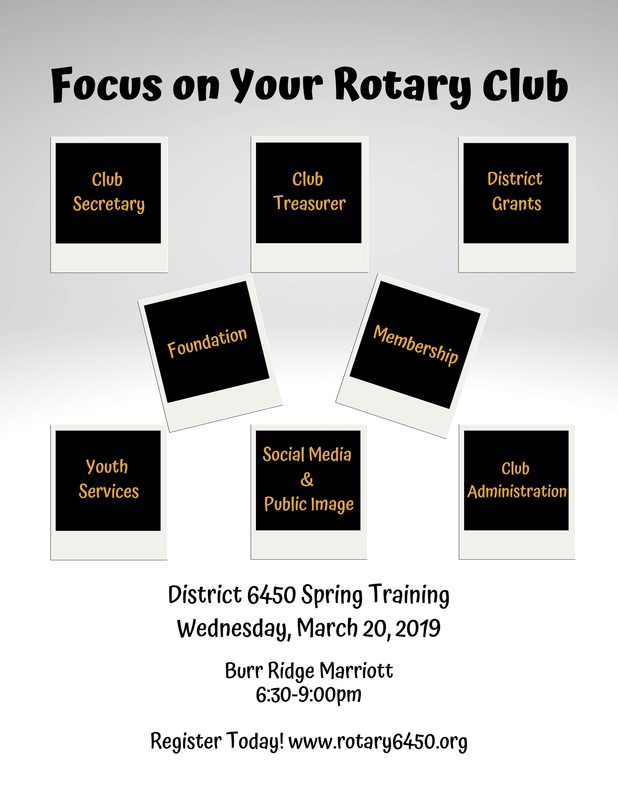 Sign up for free District 6450 Spring Training March 20 from 6:30-9 pm at the Burr Ridge Marriott. The focus is on job-specific training for club officers and committee chairs, but everyone is welcome to come and learn more about Rotary roles. 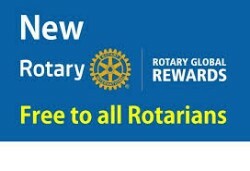 Please register at www.Rotary6450.org. Kathryn Hoffman is having company, her daughter is visiting and her son and daughter in law are coming in all the way from Japan to visit. Enjoy your special company! Nancy Wiersum wished colleague Janet Derrick a Happy Birthday next Monday! Pradeep Kandimalla is celebrating Sahave's successful donation drive. Sahave provides real time blood supply availability for life saving operations. John Sims left 8 inches of snow behind in Arizona to come to Naperville. Colby Martin & wife Vicki enjoyed a relaxing vacation in Mexico. Randy Ems extended a warm welcome back to Steve Jansen and Marlin Reishus. It's good to see you at Rotary! John Robbins was recently interviewed on NCTV17 about his business, Awards & Fine Gifts, Inc. He did a great job! The first Ford Mustang was built in 1964 - a whopping 22,000 cars were sold on opening day! King cake is made of a rich, brioche dough and a wide array of fillings, such as cinnamon, chocolate, and cream cheese. But the rainbow magic is found in the glaze and sprinkles, which are usually gold, green, and purple. 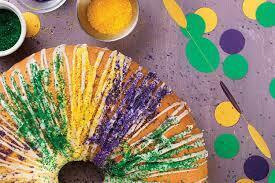 The icing colors, and royal colors of Mardi Gras, have a deeper meaning. Gold represents power, green is associated with faith, and purple illustrates justice. King cake is baked without a center, like a Bundt cake, buried inside the batter is a tiny, plastic baby figurine - an emblem of good luck to the person who finds it in their piece (optional)! Preheat oven 350F. Coat a baking sheet with cooking spray. Separate crescent rolls at perforations, into 16 slices. Place slices around pan with points in the center. About halfway down from points, press seams together. Combine cream cheese, powdered sugar and vanilla in a mixing bowl. Using a mixer at medium speed, beat until creamy. Spread cream cheese mixture on dough in the center where seams have been pressed together. Combine butter, brown sugar and cinnamon in a small bowl. Stir with a fork until crumbly. Sprinkle over cream cheese. Fold dough points over filling, then fold base of triangles over points forming a circular roll. Bake 20 to 25 minutes, until golden brown. To prepare icing, combine all ingredients except colored sugars in a small bowl. Whisk until icing reaches desired consistency, adding more powdered sugar or milk as needed. Drizzle over cooled cake. Sprinkle colored sugars in wide horizontal bands over the iced cake. 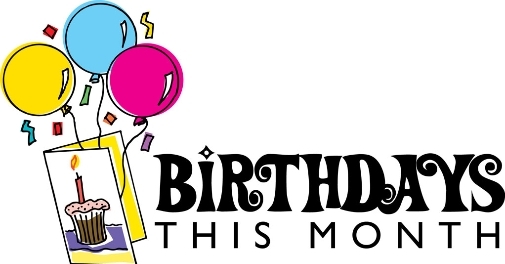 3/29 Christine Bloom 3/30 Bret Hintz We'd like to wish you a Happy Birthday! Please update your bio in the member directory. Those were the words of Rachel Chapman, one of this year's’ College of DuPage Scholarship Award winners. 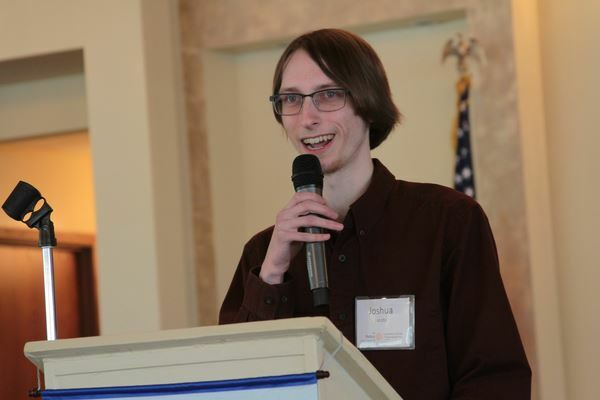 The Rotary Club of Naperville & Rotary Club of Naperville Charities recently recognized students from College of DuPage who received scholarship assistance from the club. "We are very proud to be a part of this program. 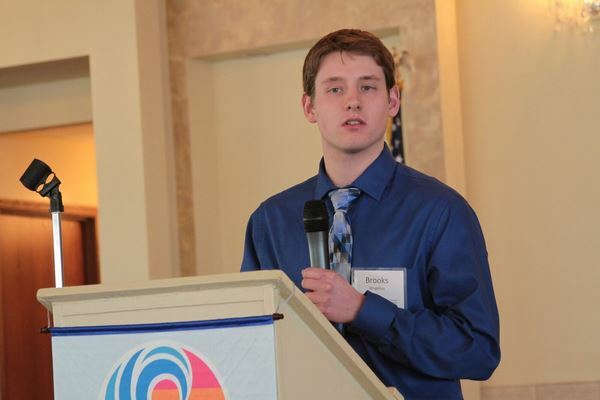 Each year, we look forward to meeting the Rotary scholarship recipients. 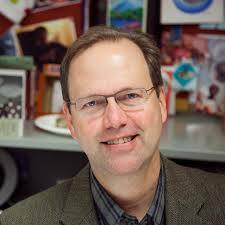 It is a very emotional day for us," said Dr. John Sims, COD Scholarship Committee Chair. "We are supporting the future of this country's best citizens, and we have a wonderful group of students here today to prove that point. 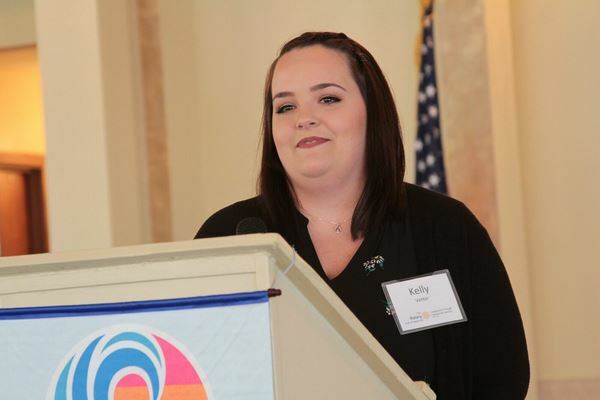 Assisting students with their college education is one of the most important things we do here at Rotary." 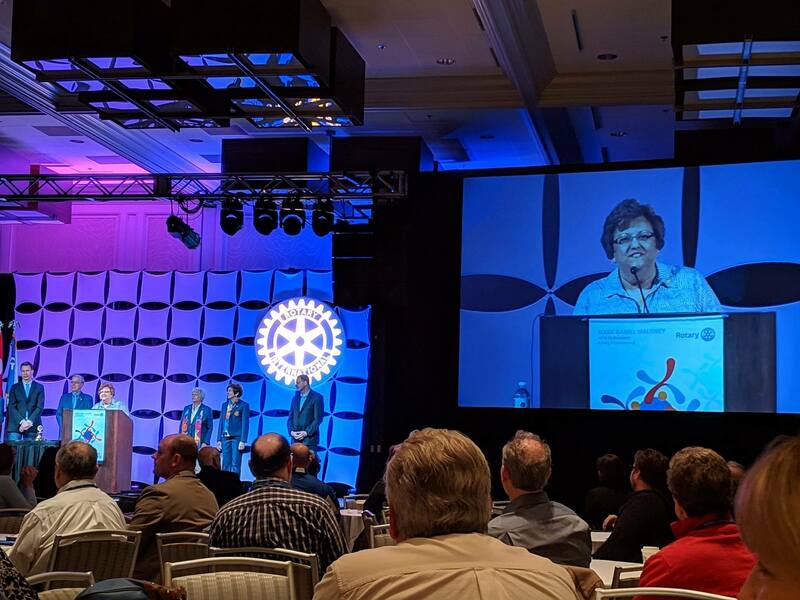 Yashica Weeks, Assistant Director of Development at COD, thanked members of the Rotary Club of Naperville Charities for their continued support of College of DuPage students. "This scholarship opens doors for our students that lead them to accomplish their personal and professional goals," Weeks said. "We thank you for this incredible program that removes financial barriers for these outstanding students and helps them realize their fullest potential." The program assists students who are in need of financial aid and have exemplary educational and citizenship qualifications. The 2019 COD recipients are Rachel Chapman, Joshua Jacoby, Jeraldine Quinones, Carinne Risch, Stephanie Rodriguez, Kelly Vetter, Michael Williams, and Brooks Wogelius. “Thank you for giving me hope, when I thought I did not have any options. 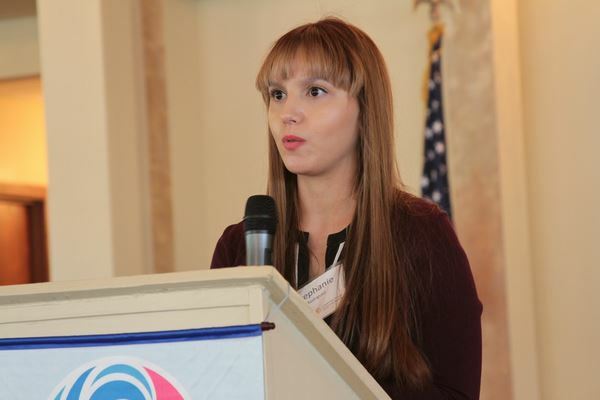 This award enables me to pursue my educational goals with confidence and to focus on my academics.” said Jeraldine Quinones. 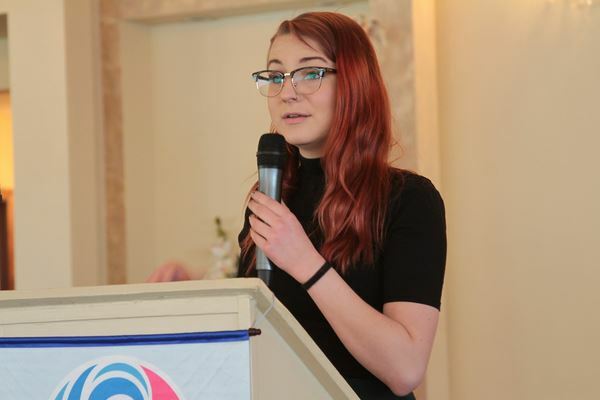 “As an independent adult, it is difficult to find time to go to school and study, while still having to work and support myself. This money will allow me to work less, study more, while also keeping my sanity!” added Kelly Vetter. 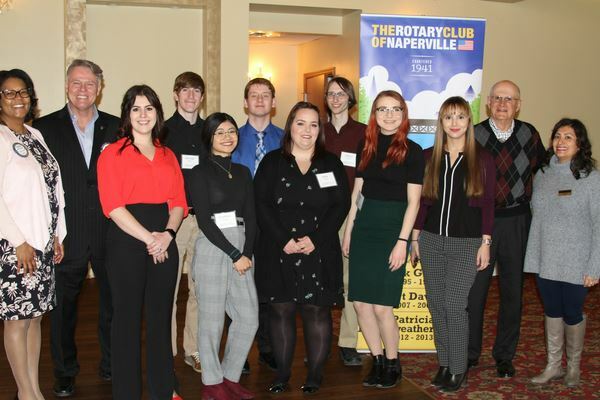 "It means so much for us to help students through this scholarship program," said Rotary Club of Naperville President, Randy Ems.. "We are honored to hear your stories and look forward to hearing about your future successes as you continue your educational and professional journey." 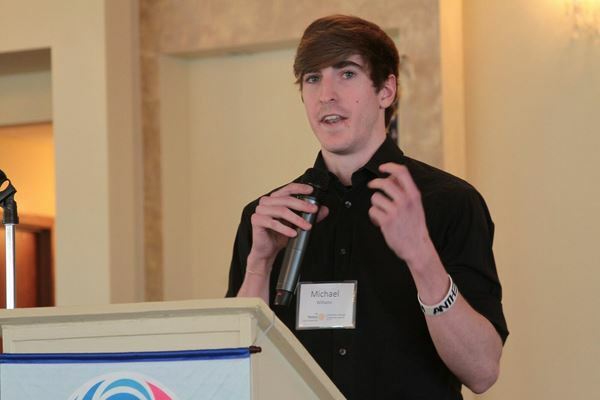 Since 1995, the Rotary Club of Naperville and Naperville Rotary Charities has provided nearly $600,000 in scholarship awards to more than 200 COD students. 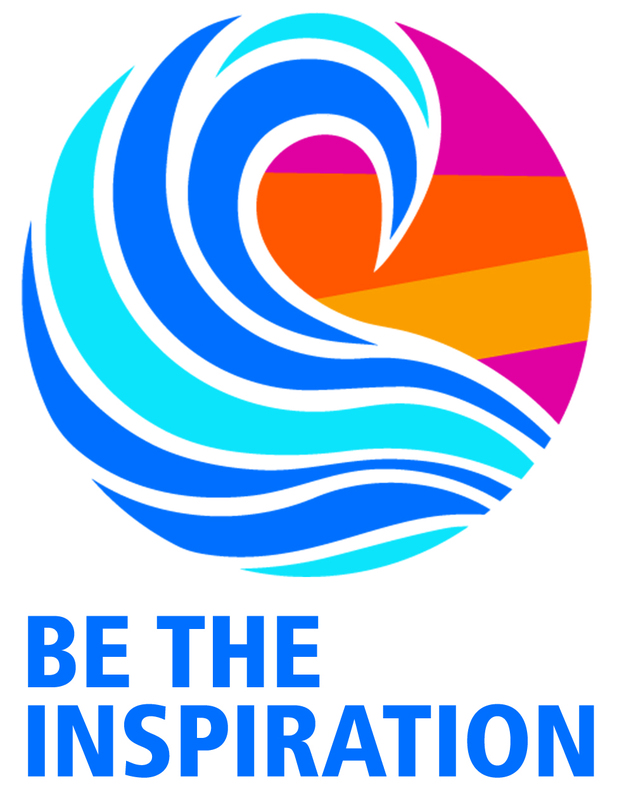 Be the Inspiration is this year’s Rotary International theme. What better way to fulfill that mission than to help the leaders of tomorrow fulfill their dreams. Fellow Rotarians will share their personal stories about the women and events in history that have impacted and inspired their lives. You will learn something new about these women through their stories! Be Here Pot: Colby Martin had Marlin Reishus pull a name...and the winner is John Robbins!